As we wind down our 2018 Fall semester, we want to take time to celebrate the successes of our awesome, hardworking students. 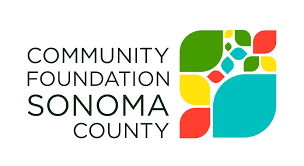 Over the course of our individual student interviews this Fall semester, we have learned that eight Literacyworks Center students are on track to graduate from Santa Rosa Junior College with a certificate and/or associate’s degree at the end of the Spring 2019 semester. Seven of the eight graduates will transfer and continue their education at a 4-year institution (CSUs and UCs). Two students are one subject test away from completing their GED, five students will transition from non-credit ESL to credit ESL courses, and thirteen will move from below college-level English to college-level English next semester. These 100 unique learners share a common goal of wanting to succeed to give back to their communities. As learners come to our Center from our referral partners, they are categorized into cohorts by their learning level. Most referrals begin in Cohort One and progress to Cohort Three. We have launched our 2018 Year-End Campaign. Our goal is to raise $50,000. This will allow us to reach our goal of supporting 110 motivated low-income, low literacy adults stay on our program each semester in 2019. We can’t do it without your help. Will you make a gift?